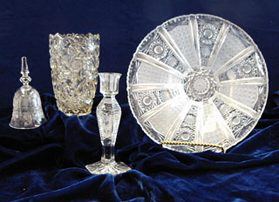 Rare crystal pieces are a pleasant attraction. 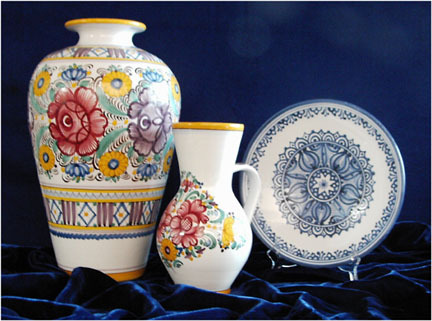 Unique ceramic vases, pitchers, and plates from Modra are highly valued for their individuality. 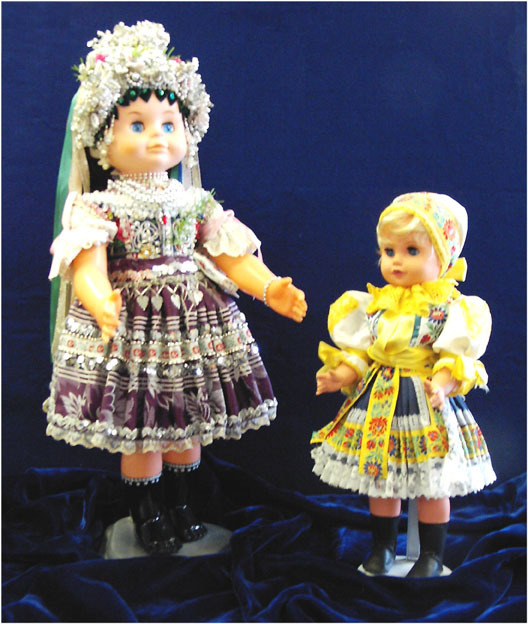 Folk art is exhibited in carvings and corn husk dolls. Dolls and mannequins are dressed in native attire. Handcrafted lace and embroidered items reflect the national culture. Paintings depict village life in Slovakia. 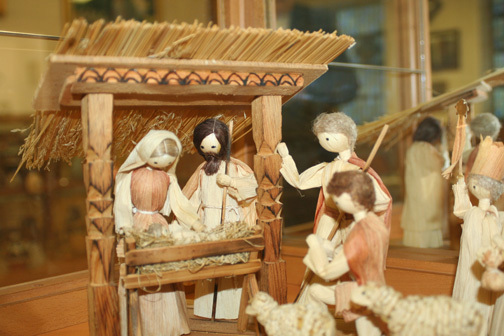 is exhibited in the Museum.